Lesotho has the second highest prevalence rate of HIV in the world. 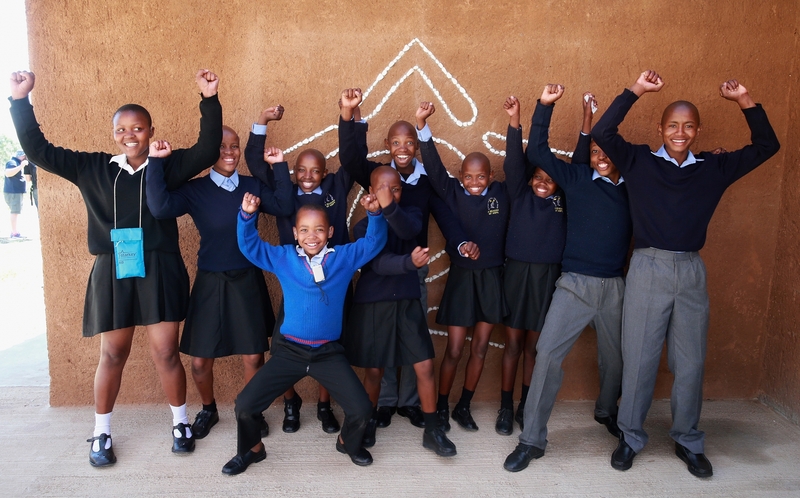 Sentebale is a charity founded by Prince Harry and Prince Seeiso of Lesotho. It helps the most vulnerable children in Lesotho get the support they need to lead healthy and productive lives. Sentebale works with local grassroots organisations to help these children – the victims of extreme poverty and Lesotho’s HIV/AIDS epidemic. Together, they are making a big difference to these children’s lives by improving their access to quality healthcare and education. Monthly Clubs address the psychological impact of HIV by giving young people a safe environment to work though the challenges of being HIV-positive together, encouraging them to live healthy, productive lives, and nurturing their inner confidence. We deliver over 100 clubs across Lesotho and Botswana. Residential Camps give those children who struggle to cope with their HIV status intensive support in a fun, friendly and safe environment. At camp children take part in sport, games and activity sessions to learn how to take their antiretroviral medication correctly and prevent onward infection. They leave camp with increased confidence and knowledge about HIV, and the ability to take care of their future health. Caregiver Days: In Lesotho and Botswana live an estimated 273,000 orphans that have lost their parents as a result of AIDS. These children are often in the care of surviving relatives, such as a grandparent or aunt. Sentebale’s ‘Caregiver Days’ are designed to teach them about HIV (whilst dispelling myths and breaking down stigma), so they know what steps they need to take to best support the child in their care. Lesotho has the second highest prevalence rate of HIV in the world, with 38,000 children under 14 living with HIV, which remains the number one cause of deaths in 10-19 year olds in Africa. Stigma and discrimination are the biggest barrier to children and young people living with HIV to accessing the correct care. Many of these children are particularly vulnerable as they are isolated and rejected due to their status, and receive little support from their families and communities. Often one or more of their parents has died of AIDS. the knowledge and the tools that they need to live physically and emotionally healthy lives. The Programme aims to reduce the spread of HIV and AIDS through education and fostering child-to-child communication. “I now know that by taking my medication well, I can also grow up to be whatever I would like to be, more importantly be married and have children who do not have HIV”. "Thank you MAD for your support of Sentebale and the commitment you are showing to children living with HIV in Lesotho, who are some of the most vulnerable children in the world"
Sentebale created the programme in response to research that showed how children with HIV often felt isolated, receiving little support in their homes and communities to help them deal with the social and psychological challenges that they face. The Programme provides children with the opportunity to meet other children living with HIV, helping them to effectively deal with the challenges that they face. Network Clubs and Camps inspire child-to-child communication by encouraging children and young people to teach each other about the condition, breaking down the stigma that prevents many children from being aware of their status and accessing treatment. 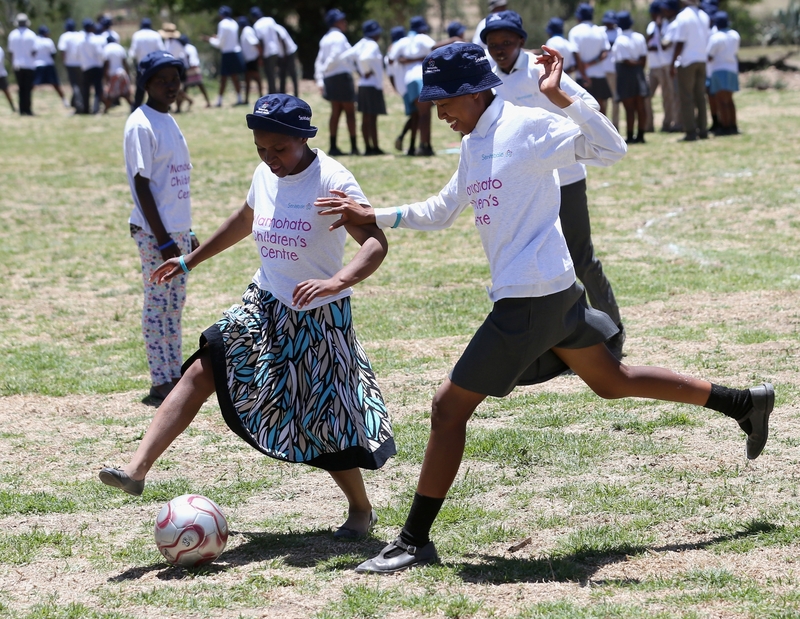 As of early 2016 there are 50 clubs operating across all 10 districts of Lesotho, , reaching over 2,000 children per month in total. On Thursday 26th November 2015, His Majesty King Letsie III opened the ‘Mamohato Children’s Centre at Thaba Bosiu in Lesotho, in the presence of Sentebale’s Founding Patrons, Prince Harry and Prince Seeiso. 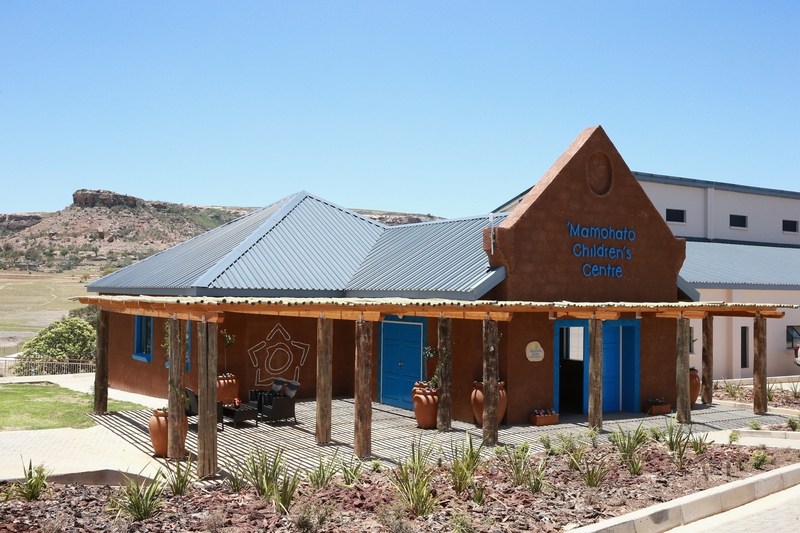 The ‘Mamohato Children’s Centre is the flagship facility that supports all of Sentebale’s work with vulnerable children in Lesotho. Named after His Majesty King Letsie III and Prince Seeiso’s mother, the late Queen ‘Mamohato Bereng Seeiso, who was known as the Mother of the Nation, the Centre is used to hold a range of events and workshops to benefit vulnerable children. These include hearing assessments for children with hearing disabilities, training workshops for organisations caring for vulnerable children, peer educator workshops and forums and, specifically, it will host camps delivering psychosocial support to children living with HIV.